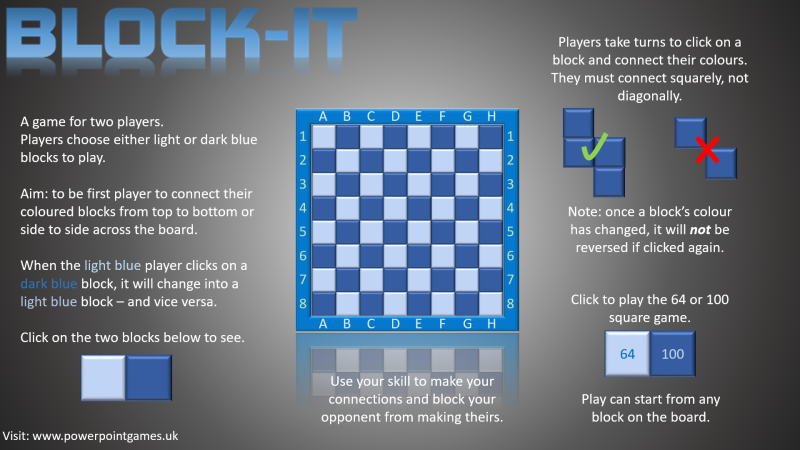 The aim of the game is to change your opponent’s blocks into your colour by clicking on them. 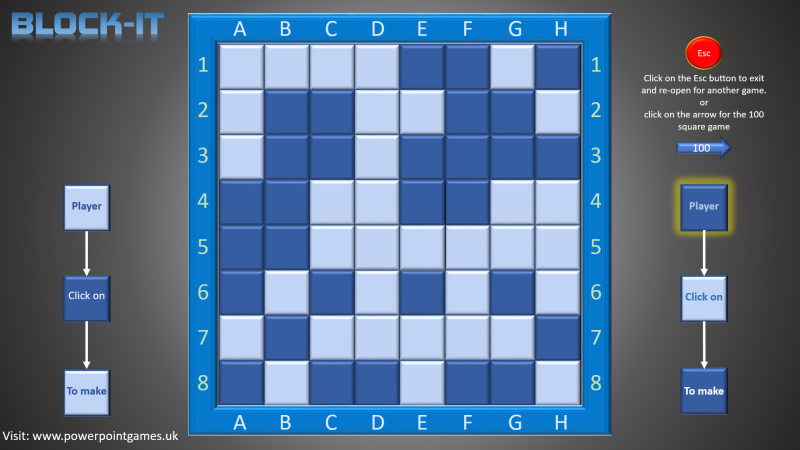 The winner is the first person to connect their colour blocks top to bottom or side to side. 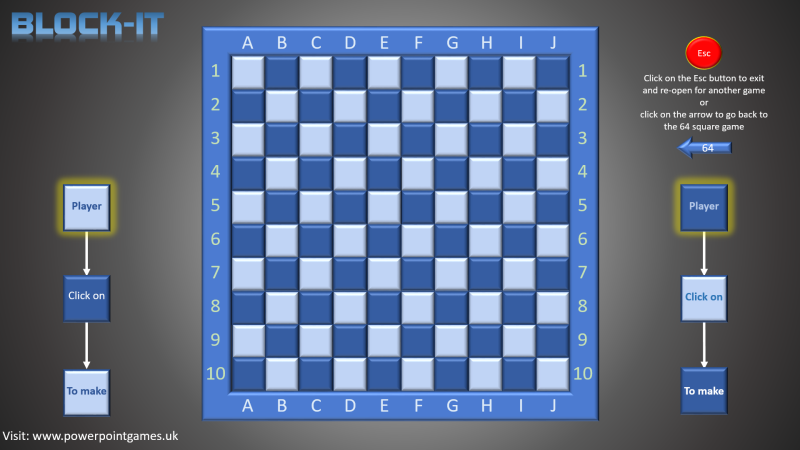 You can play a quick 64 square version, or a 100 square version.